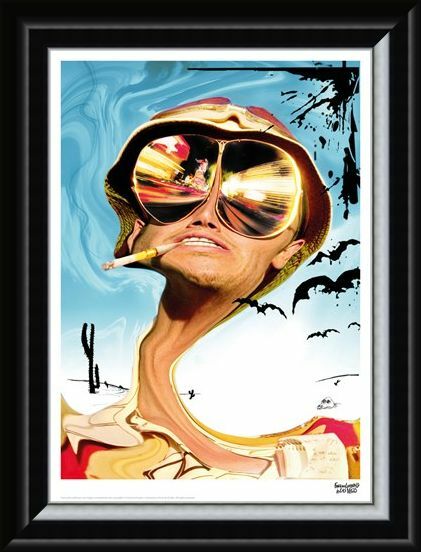 Sin city reflected in golden glasses, Raoul and Dr Gonzo's road trip across the desert is about to get seriously messy and hallucinogenic to say the least! Fuelled by a briefcase full of illegal substances, this pair must make it to the Motorcycle Race in time, if they are to make a profit from their wares. 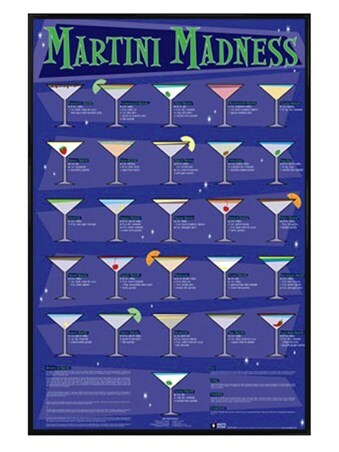 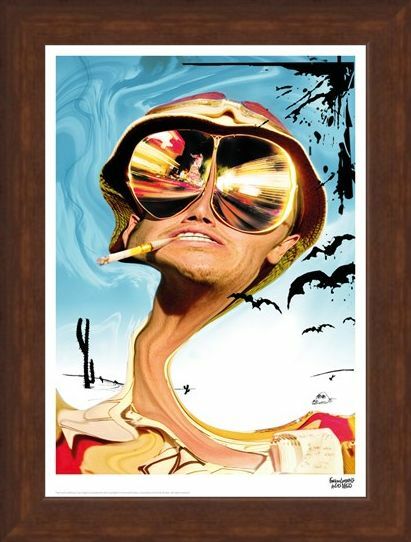 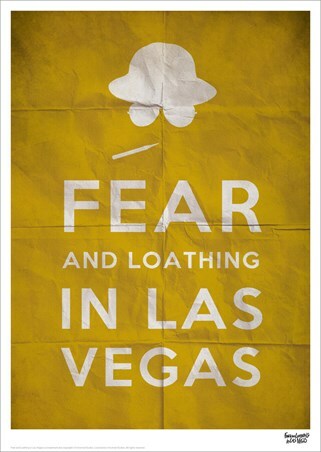 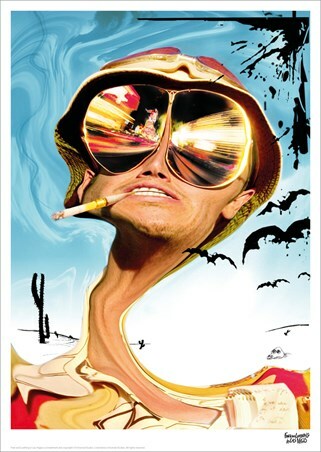 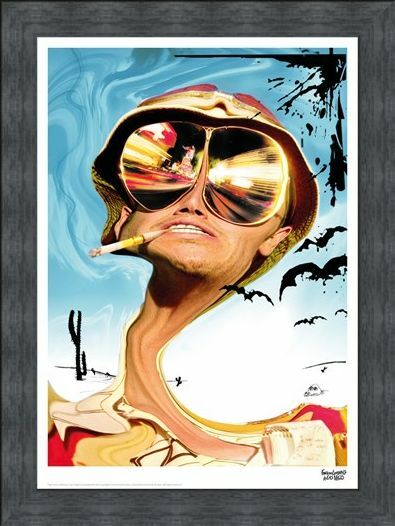 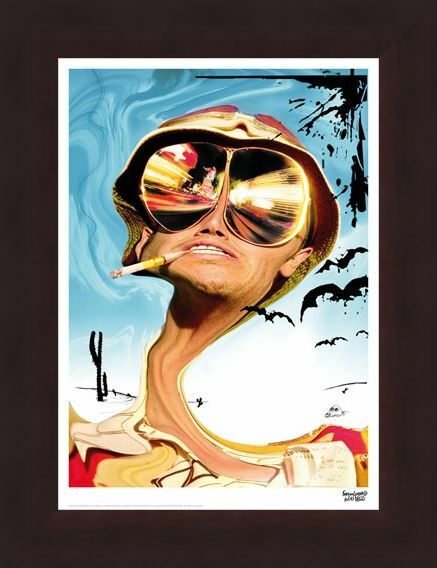 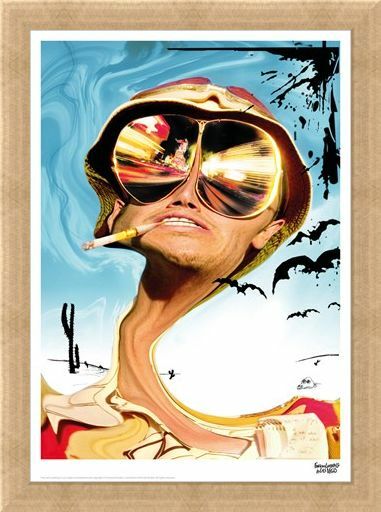 Join this dynamic duo with this wicked, limited edition print from the 1998 movie, Fear And Loathing In Las Vegas. 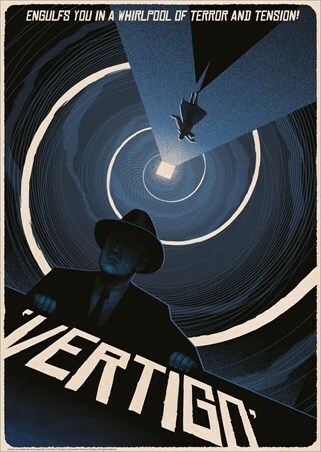 Individually numbered, these awesome prints have been restricted to only a handful of copies, making this a must have for any serious film collector. 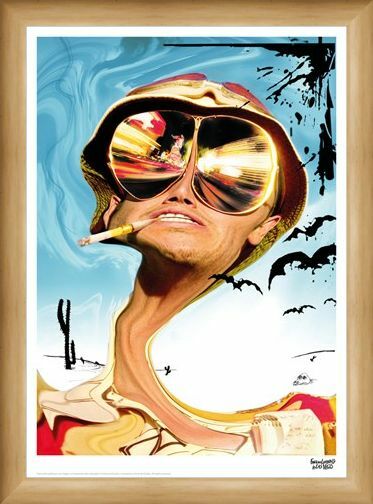 High quality, framed Glasses, Fear And Loathing In Las Vegas limited edition print with a bespoke frame by our custom framing service.